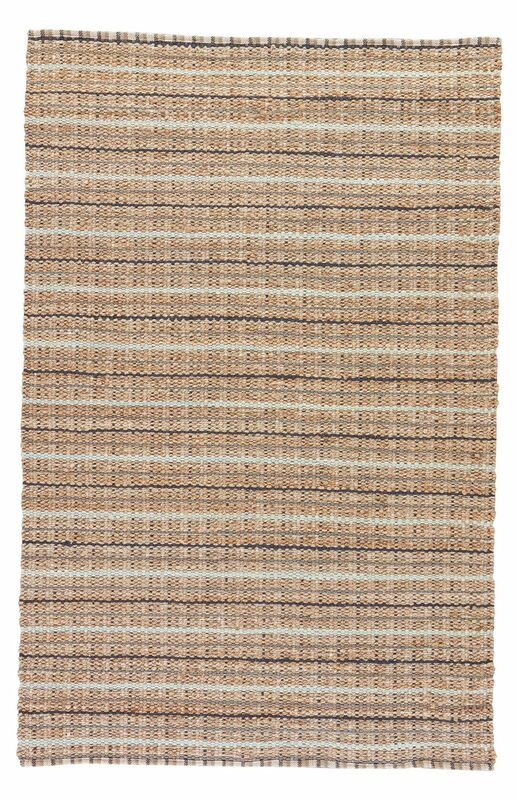 Jaipur Living Rugs AD12 - Andes Collection 70% Jute 30% Cotton Rug - Swatches may be available. This natural area rug combines an intriguing mix of cotton and jute, woven into a unique plaid design. Gray and white stripes add a hint of modern style to the organic layer. Natural Construction: hand-woven construction accentuates the natural fibers.Natural Construction: hand-woven construction accentuates the natural fibers.Natural Construction: hand-woven construction accentuates the natural fibers. 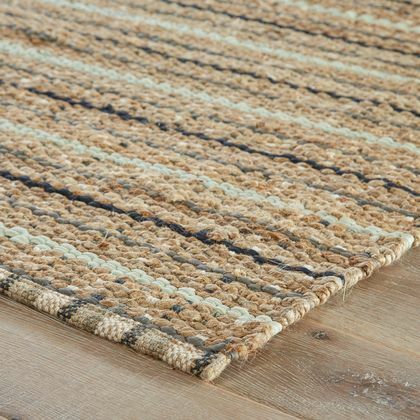 Naturally Textured: the natural fibers of this neutral, earth-toned collection creates an organic aesthetic. Care and Cleaning: vacuum regularly without beater bar; professionally clean only. 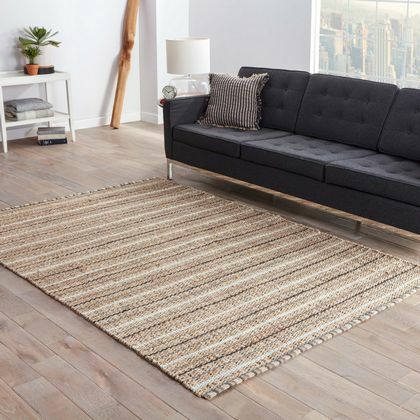 Rug pad is recommended: prevent bunching and slipping with an ultra hold rug pad. 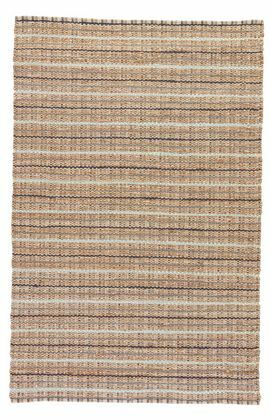 Jaipur Living Rug AD12 - Andes 3'6"X5'6"